ArticlesShould you change or refurbish your old windows? Should you change or refurbish your old windows? If you are a home or property owner, this question has probably crossed your mind already: should I change my windows, or simply refurbish them? Windows are – without a doubt – one of the most important parts of any building, but also one of its weakest. Whether it be for a house or a commercial structure, a window’s quality will greatly affect your level of comfort linked to ambient temperature and luminosity. For a long time, window refurbishing was considered an OK solution – until you could change them completely. However, the fact that reconditioning them is cheaper, a well-done job could last even longer and become a better investment in the long run. In our opinion, the best solution is to refurbish while optimizing your windows. Here’s why. 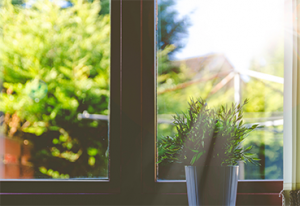 Saving energy is probably the main reason why building owners would want to make any changes to their windows. It is also something which ranks pretty high on home buyers’ and tenants’ lists, so having it done is a positive for everyone. If your windows are old, damaged and are letting air through, thinking of the energy loss and bills adding up, can surely seem alarming. Changing them isn’t the only option. Of course, you may save a couple of bucks, but you won’t save THAT much. In most cases, the total amount spent on new windows and installation will take several years to get a return on your investment. By draft proofing your doors and windows, restoring the frames and ensuring a proper cleaning and maintenance of all the working parts, you’ll save a lot in the long run. To bring it up a notch and get optimal results, apply our SketchNanoGard thermal window coating, which will allow you to enjoy the natural sunlight all day, while diminishing the impact of the sun’s heat on your ambient temperature. By doing this, you’ll be able to greatly reduce AC and heating associated-costs. Our coating also blocks UV A and UV B rays, which are harmful for your health. As previously mentioned, refurbishing your windows will allow you to make big savings for your home. This being said, imagine how much you could save on a commercial building? But it’s not only about the money though. Investing in SketchNanoGard thermal window coating is also investing in our planet since it greatly reduces the ecological footprint; less waste will be brought to the dump sites and less energy will be used for new window frames production and installation. Keeping the original parts – an added value? For many people, keeping the original building materials is a purely aesthetic choice – with good reason. Imagine a country house built in the 19th century with ultra-modern looking doors and window frames, for example. Might not be exactly what the owner is looking for. In such cases, a good cabinetmaker can perform miracles and allow you to keep the house’s character. For PVC or aluminum frames, many companies specialize in restoring and optimizing them. If the job is done right and a great window coating is applied, the energy efficiency performance can even be as good as, or if not better than as new windows. Plus, keeping the original parts can sometime add value to your property. In some cases – like if there is lead paint on the frames or if a considerable amount of water infiltrating the walls – the only option may be to change everything, for health and security reasons. However, revamping and optimizing your windows is often a better long-term solution, whether it be at home or at the office.